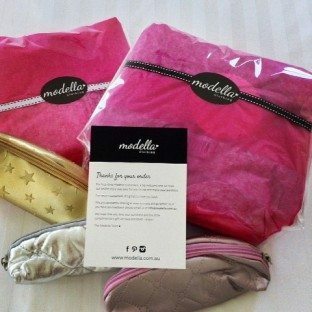 Modella Clothing is an Australian-based fashion online store for women looking for a fun, stylish look. Check out our sale, clearance and new arrivals for the best buys in women’s affordable clothing and accessories. We also offer free shipping in Australia for orders over $50. Choose from a selection of popular local and international brands for all occasions – casual, formal or party wear. Our local clothing range features styles from innovative labels including Toby Heart Ginger. Madison Square Clothing and a brand new label – Tanee Clothing. Modella is run by a two-sister team (Krys and Phylia) – we both have different strengths and responsibilities, but providing special attention to customer service is the foundation of our business. It’s the little heart incorporated into the Modella Clothing logo that represents our core values and ethos. We both love fashion and want our customers to adore all of their purchases from our online store. We’d love to hear about your Modella experience – please leave a review on our Customer Reviews page. And yes, no matter how hard we try, sometimes things may not go to plan, and we need this feedback too, so that we can fix things quickly. Because we love surprises, we like to treat our customers with something unexpected too, so look out for your free gift with every purchase! We choose all of our brand and label offerings because we love something about them – they may be unique with interesting detail; the styles may be fun and quirky; some have a little attitude; while others make a statement.